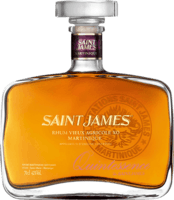 Have you found an online vendor selling Saint James Reserve? Tried the Saint James Reserve on a sunny Sunday afternoon. 6 to 10 year old rhum agricole made from cane juice at Saint James in Martinique means its super dry and absolutely no added sugar. Bottle and label looks mediocre. Golden color. Very strong alcohol to the nose. Rhum Agricole dryness and a nasty burn at the end. Not my cup of tea. Most rum beginners love Diplomatico, Spiced rums, whatever tastes so smooth and sweet (thats because Diplomatico has over 40g sugar per bottle added). This rum is just what it is, it has 43% of alcohol, thus it really bites... but you can feel the taste of sugarcane in there, the freshness. 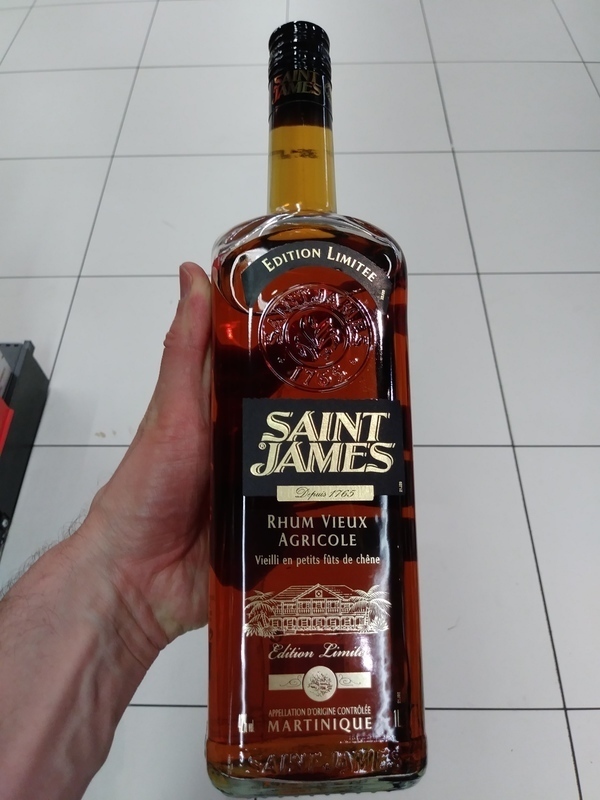 I do really recommend this agricole rum, it is cheap and it is great (if you want smoother ones, go for Reserve 12 or let it stay for like 5 minutes to eliminate the alcoholic scent). This is more like agricole rums, which I dislike, si this was really hard for me to drink. Nice color and good legs. The aroma is ok but nothing special. The taste is a little harsh but I got a bottle for 17 bucks. I probably wont buy it again but I am glad I tried it once. Aroma with tones of smoke and ash. Taste bit spicy from 43% alohol volume but quite smooth. Strong notes of smoked oak casks. Not even an average rum. I was very disappointed in the rum, not smooth at all. Even as a mixing rum it wasn't very good. A friend of mine gave me a bottle as a gift. Tastes like the New Jersey end of the Goethals Bridge. Even tastes lousy mixed. Average rum in a nice looking bottle. Would not buy it again. Label says "aged for 24 months" making it sound more impressive but it means only 2 years. Needs more aging. It says it's a blend of rums from around the Caribbean but doesn't identify where. One online source identifies it as an agricole rum from Martinique but it misses the mark. A nice amber color. The aroma is quite astringent and strong. A warning sign. The flavor. Harsh. Whatever cane juice flavor...a staple of agricole rum...it had is overwhelmed by the harsh ethanol flavor. Definitely not a sipper and frankly I wouldn't recommend it as a mixer except in circumstances where you could not find anything better...like being on a deserted island. This is a cheap rum both in terms of price and quality. The more I sip it, the worse it gets (I keep debating with myself to give it a "2" but I'll stick with a "3"...barely). Definitely drown it in cola to make it palatable. $20 USD a bottle seems overpriced. Ok some digging around reveals that this is a blended Caribbean with rums of various ages in the mix - and it is a big mix. Now this stuff is cheap but I wouldn't say it was crap. It's actually not bad especially if you enjoy a bit of tobacco influence from the ageing process. It arrives sweet and spicy with fruit and light banana. Develops medium cracked black pepper and some nice tobacco wood. Finish gives more light banana light spiced heat and a touch of rum sourness. You can drink it straight and its not loaded with sugar. It is however loaded with E150 oh well.. Anyway if you find it for about 15 quid give it a crack. The taste of leather is way to much and the spirit smell and taste is overwhelming. Maybe with cola to drown the taste.